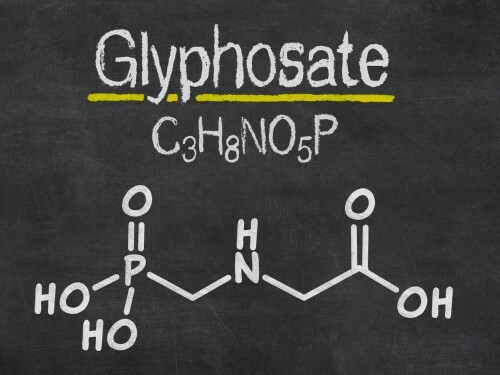 Tip 1: Glyphosate and Cancer – Glyphosate weed killer has been in the news in recent months. In August, a jury awarded $289 million in damages to a California pesticide applicator who sued Monsanto over the claim that glyphosate caused his cancer. However, pesticide applicators have also received reassurances from the 2018 Agricultural Health Study and other risk assessments that glyphosate is not carcinogenic at real-world exposure levels. Since 1993, the U.S. Agricultural Health Study has examined how agricultural practices affect cancer and health outcomes among licensed pesticide applicators. An analysis in 2001 showed no significant associations between glyphosate and cancer. In 2018, an updated analysis of the Agricultural Health Study data included 54,252 pesticide applicators and 5,779 cancer cases. No association was found between glyphosate and any solid tumors or lymphoid malignancies, including non-Hodgkin’s lymphoma. While there was some indication of increased risk of acute myeloid leukemia in the highest exposure quartile, this association was not statistically significant. The jury decision in California does not undercut the scientific validity of those risk assessments, according to Mary Ann “Mimi” Rose, program director for Ohio State University Extension’s Pesticide Safety Education Program. Contact her at 614-247-7489, rose.155@osu.edu. OSU Extension is the outreach of The Ohio State University’s College of Food, Agricultural, and Environmental Sciences (CFAES). Tip 2: Food Safety Basics for Small Farms and Gardens – In the last two decades, there has been an increase in the number of outbreaks associated with fresh produce. There are methods that produce growers can follow to prevent or minimize the risk of on-farm contamination of fruits and vegetables. The use of good agricultural practices during growing, harvesting, sorting, packaging, storage and transportation of fresh fruits and vegetables is key to preventing pathogen contamination. Beth Scheckelhoff, an OSU Extension agriculture and natural resources educator in Putnam County, can talk about how growers can minimize their risk at 419-523-6294 or scheckelhoff.11@osou.edu. 25 Guided Autumn and Pollinator Walk, 2-3:30 p.m., Seaman Orientation Plaza, Secrest Arboretum, Ohio Agricultural Research and Development Center (OARDC), CFAES Wooster Campus, 1680 Madison Ave., Wooster. Free. Details: go.osu.edu/CY7J. 26 Livestock Mortality Composting certification workshop, 6-8 p.m., Mahoning County office of Ohio State University Extension, 490 S. Broad St., Canfield. Registration is $25; includes lunch and handouts. Details: go.osu.edu/CY7V. 28-29 Third Annual SmartAg4.0, Agricultural Administration Auditorium and CFAES Library and Student Success Center, Ohio State, 2120 Fyffe Road, Columbus. This year’s 24-hour competition will focus on technological innovations for the dairy industry. Open to all undergraduate and graduate students enrolled at an Ohio college or university. Details: go.osu.edu/CZaZ. 3 Nature vs. Nurture Tree ID workshop, 9 a.m. to 3 p.m., Secrest Arboretum, OARDC, CFAES Wooster Campus, 1680 Madison Ave., Wooster. Registration is $35; includes lunch and materials. Details: go.osu.edu/CY7X. 5-7 CFAES Homecoming Weekend, $35-$135. More information: go.osu.edu/CX6j. 5 Autumn Discovery Day Pre-Sale, 3-4 p.m., Lemmon and Rice Health and Wellness Garden, Secrest Arboretum, OARDC, CFAES Wooster Campus, 1680 Madison Ave., Wooster. Pre-sale of trees and shrubs for members of the Friends of Secrest, who will also receive a 10 percent discount. Free admission. Details: go.osu.edu/CY7Z. 6 Autumn Discovery Day, 9 a.m. to noon, Lemmon and Rice Health and Wellness Garden, Secrest Arboretum, OARDC, CFAES Wooster Campus, 1680 Madison Ave., Wooster. Sale of trees and shrubs. Free admission. Details: go.osu.edu/CY9B. 12 Fascinating Woodland Fungi, 9 a.m. to 3 p.m., Ohio State University at Mansfield, Ovalwood Hall, 1760 University Drive, Mansfield. $35 registration, including lunch and handouts. Registration deadline Oct. 5. More information: go.osu.edu/CX6S. 12 A Day in the Woods: Fall Treasures in Your Woodland, 9 a.m. to 3:30 p.m., Vinton Furnace State Forest, Township Highway 6, McArthur. Registration is $12. Details: go.osu.edu/CY77. 12 12th annual Stinner Summit, “The Roles of Faith and Ecology in Sustaining Agriculture,” 9 a.m. to 4 p.m., Methodist Theological School in Ohio, 3081 Columbus Pike, Delaware. Details: go.osu.edu/CY79. 13 Guided Bird Walk, 9-11 a.m., Seaman Orientation Plaza, Secrest Arboretum, OARDC, CFAES Wooster Campus, 1680 Madison Ave., Wooster. Free. Details: go.osu.edu/CY8B. 13 Managing Spotted Wing Drosophila: Exclusion Netting Workshop, 10 a.m. to 2 p.m., 7010 Chatham Road, Medina. $20. Register by Oct. 8. Details: go.osu.edu/Cag9. 15 4th Environmental Film Series: Rancher, Farmer, Fisherman, 7-8:45 p.m., Chemical and Biomolecular Engineering and Chemistry Building, Room 130, Ohio State. Free. Details: go.osu.edu/CZaj. 16 Environmental Professionals Network: Healthy Planet, Healthy Patients – Hospitals Reduce Their Environmental Footprint, 7:15-9:30 a.m. Nationwide and Ohio Farm Bureau 4-H Center, 2201 Fred Taylor Drive, Ohio State. Free for students, $10 for non-students. Details: go.osu.edu/CahN. 18 Name That Tree, 9 a.m. to 3 p.m., The Lodge at Allardale, 141 Remsen Road, Medina. $35 registration, including lunch and handouts. More information: go.osu.edu/CX6X. 20 Little International, 8 a.m. to 1 p.m., OSU Barns, 3658 Kays Ave., Dublin. Showmanship competitions in hogs, horses, sheep, cattle and goats. Free. More information: go.osu.edu/CYb5.